EB Meyrowitz always used to sparkle from across the Royal Arcade, as I sat in Cleverley’s chatting to George or Teemu. 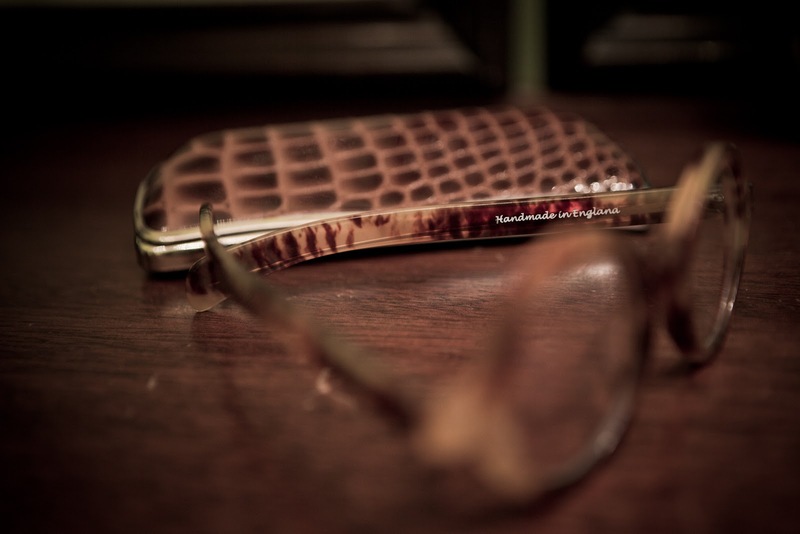 The serried rows of horn and acetate frames, all in beautiful brown variations, watched by a little jazz band on top of the cupboard. But I never made the time to go in. That, it is now clear, was an oversight. In the end, the catalyst was not George Glasgow (who I now know is a loyal customer) but John Durnin, now CEO of Gieves & Hawkes and another customer. He introduced Meyrowitz into the new Gieves set up as one of his artisans, alongside Carreducker, Bentleys, Bill Amberg and others. EB Meyrowitz is run by three lovely sisters. But they don’t want to be the focus of a piece such as this, and too right. The focus should be the glasses. These are all handmade, in a range of workshops from England to Germany, Morocco to India. 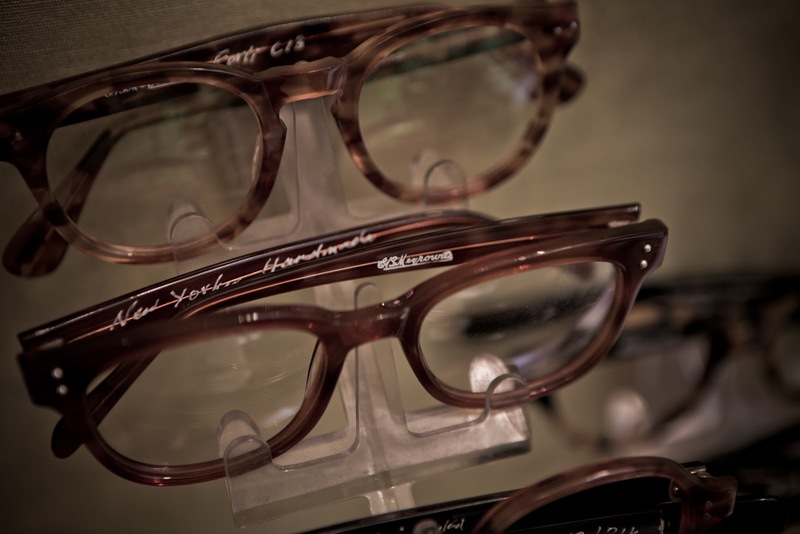 Made to measure glasses, which make up about 40% of the business, are all made in England. The ready-to-wear frames are all altered as well, in terms of changing the angle and shape of the arms, often from the hinge. Meyrowitz is meticulous with this, taking a series of measurements to get the balance of the frame correct. Anyone who has experience of tailoring won’t be surprised to hear that men usually have one ear lower than another, and one eye lower. Where the frame is made to sit is a judgment based on making it look natural, and fit to these personal idiosyncrasies. Interestingly, Sheel says that most ready-to-wear glasses on the high street fall down on basic areas of fit, often having arms that are too short and bridges that are too small. The small bridge will make glasses sit too high on the nose. The short arms, on the other hand, are rather like the too-large suits sold by high-street brands: fewer people notice if a suit is too big than too small, and fewer people notice if the arms on a pair of glasses are too short – they may be less comfortable but they will stay on the nose, unlike with arms that are too long. Being handmade, as in cut down and finished by hand, should also make them more comfortable. This is most noticeable in the bridge, where the edges are noticeably rounded and smoothed. 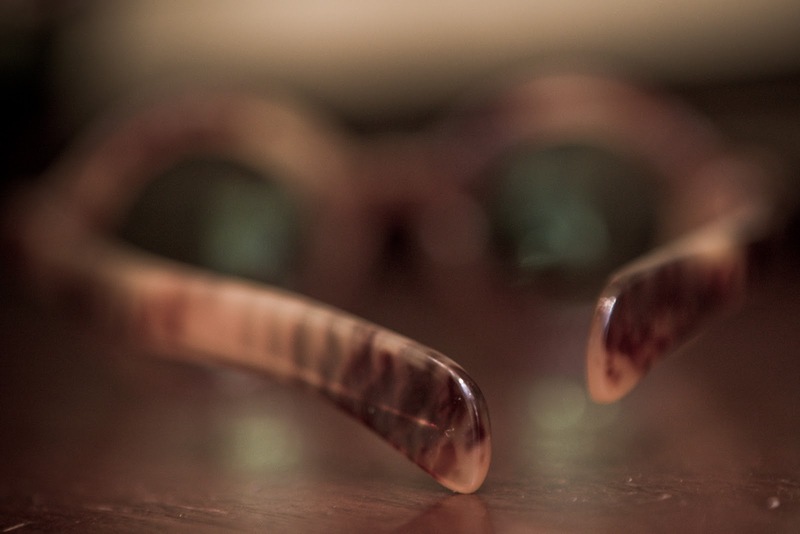 Machine-made glasses tend to work in single planes, with each perhaps smoothed but no transition from one to another.You can see something of that in the pair above. It’s been an interesting area to learn about. Prices start at £450 for acetate, £700 and up for made to measure. Horn is £900 and £1600 respectively. 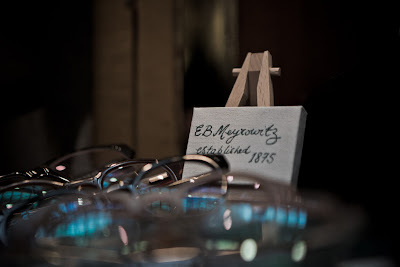 You can follow the discussion on EB Meyrowitz: Handmade glasses by entering your email address in the box below. You will then receive an email every time a new comment is added. These will also contain a link to a page where you can stop the alerts, and remove all of your related data from the site. Beautiful glasses, sometimes I wish my vision was bad so I could wear things like this. Great post. This is a timely post for me as I’d recently been wondering whether anyone provides a service like this. Do you know of anyone else in London who does it? If you mean made-to-order glasses, Tom Davies is the only other one I know, but he works through opticians. Also, glasses is a relatively new area for me so I couldn’t claim to know everyone. Really I mean glasses that are bespoke in the sense of fitted to the irregularities in one’s individual face/head. I don’t know if Tom Davies actually does that? I suppose there probably aren’t legions of them. Good post though! It’s a question of degrees. Most decent opticians should do something like this, but they usually just tweak the arm to try and get the curve over your ear. It doesn’t get close to this level of personalisation, plus you can’t do much about the handmade aspects of the bridge. Tom Davies does bespoke alright, designed from scratch in a very different way to Meyrowitz. But the ready to wear is sold through opticians so that stage depends on them. I have just got round to popping in here to try out some frames. Bespoke horn has gone up to £2000 since this post was written (off the shelf horn is £1800; acetate about £850 and £450 respectively). I am tempted by horn but note a critical comment on another of your posts regarding the need for care (keeping dry and oiling). Did you go for horn in the end and how have you found them in terms of care? Thanks. I’m seeing Sheel next Tuesday so will decide then. Do they manufacture the bespoke frames in house>? Just a heads up for anyone reading this old article. 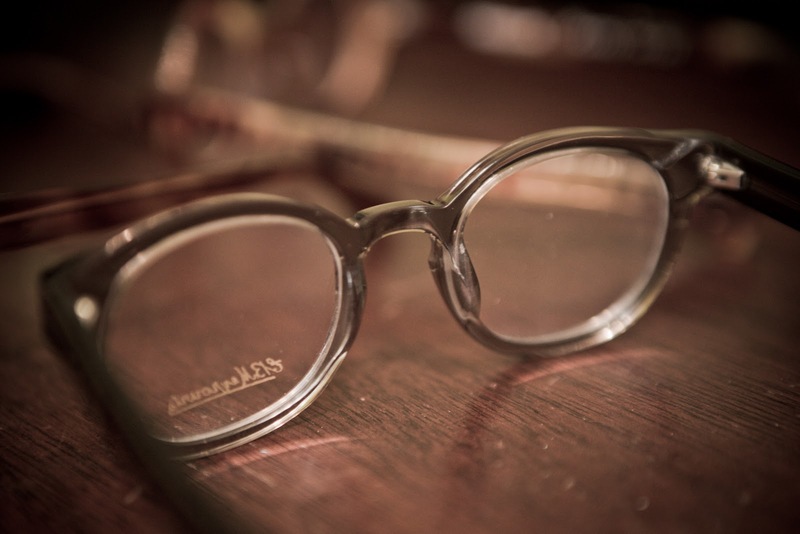 The Worshipful Little Shop of Spectacles in Netil Market, London Fields do a proper bespoke service. Designed for each customer and handmade in house. I recently got a pair made and they are perfect for my big head/small nose combination. I only paid £350 for the frame and Natalie designed 5 separate templates for me to choose from. Excellent service, I’ve been telling all of my friends with awkard features!